(Feb-12-2014, 07:07 AM (UTC))o0Ampy0o Wrote: Hobb has placed some limitations on what she can work with in the coming series. It has been a while since I read the books. 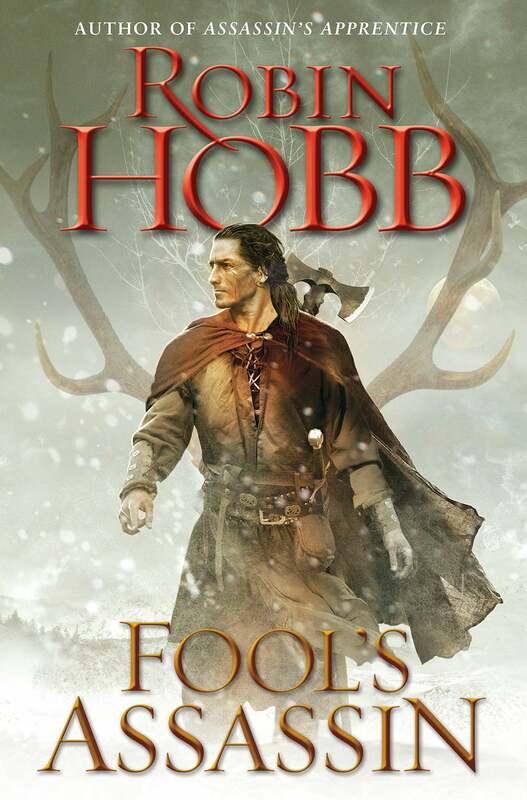 Fitz talked about several things tying up loose ends when Hobb finished the final Fool book. Didn't Fitz describe how he never ended up bonding with another animal after Nighteyes? Fitz likes to be melodramatic. At the end of the first trilogy he wrote he is old and tired, has a son, and the old wolf..
Then came the third trilogy and we found out: Fitz is not old yet. So he often says "never" - don't trust him! I went back and found the passage I was referring to. It seems to be speaking from a time when there is still much of his life ahead of him rather than at the very end of it looking back. So there is room for a lot more than I thought. Fool's Fate Epilogue Wrote: I miss him often [The Fool], but in the same way that I miss Nighteyes. I know that such a one will not come again. I count myself fortunate for what I had of them. I do not think I will ever Wit-bond again, or know such a deep friendship as I had with the Fool. As Burrich once observed to Patience, one horse cannot wear two saddles. I have Molly and she is enough for me, and more. I am content. Having reread the Epilogue after quite a long time I cringed at the syrupy tidings Hobb threw in to create a happy ending. I did not like it when I first encountered it. Yet it is even more apparent to me now than then. I won't be jumping into the coming books as soon as they are released unless I have nothing else to read at that time. Hobb has a lot to overcome. I've been mulling over the title and its possible meanings most of today. It's pretty sinister no matter which way you look at it, isn't it? I just moved this topic from the RotE room since this is an upcoming book and it helps people who want to avoid spoilers to keep the published canon separate from the speculations and news. Here's also an old thread back from the time when it was all mostly just whispers in the binary winds if anyone wants to take a look. Dutch translation is scheduled for september 2014 (which could also be seen in the picture I posted earlier), so for once the original version is published before the translation. Damn slow translators this time . (Mar-22-2014, 11:43 PM (UTC))Mervi Wrote: I've been mulling over the title and its possible meanings most of today. It's pretty sinister no matter which way you look at it, isn't it? Well you added "no matter which way you look at it" so I'll comment. Looking at it one way, Fitz is/was an assassin. There is The Fool and Fitz is The Assassin of the series. The Fool is particularly fond of Fitz. Had Fitz been a shop keeper, a fitting title could have been The Fool's Shop Keeper. Neither imply The Fool is hiring an assassin or shop keeper. Additionally, well conceived literature is not so obvious and often the obvious interpretation of a title or chapter title is not at all where the story goes. It has been a while since reading Hobb books. The one chapter title that I recall is "Regal" and given that point in the story it pretty much provided the closure we might have expected of it. So maybe Hobb is not an author who uses clever titles that suggest something and turn out to be something entirely unexpected. Seeing the cover and release date now I am probably going to read it as soon as it is available after all. Pay particular attention to those antlers behind Fitz all you Wit bond speculators. (I don't read reviews and avoid spoilers of any kind including a book's synopsis until after I have read the book so I have no idea).